The main work of the Nyingma tradition is the so called Liberation Through Hearing During the Intermediate State. Though this is the oldest of the four major schools of Tibetan Buddhism, its beginnings are uncertain. Several groups of believers set forth to translate the ancient manuscripts and this book is thus founded on the first translations of Buddhist scriptures from Sanskrit into Old Tibetan in the eighth century, for which the Tibetan alphabet and grammar were created. 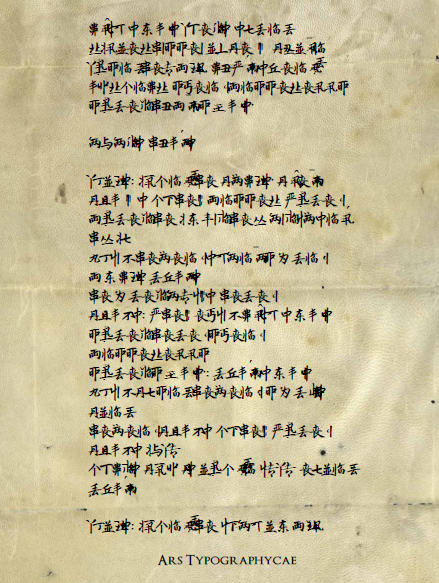 The reproduction herein belongs to the Niao school, and is the first attempt to encode those translations into a script more along the Chinse tradition than the up to then non existent Tibetan one.